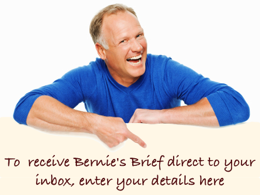 Bernie Kroczek Real Estate | Why We Don’t Trust Real Estate Agents! Every year the Roy Morgan organisation conducts a poll on which are the most trusted professions. Typically the most trusted are nurses, pharmacists, doctors and school teachers. At the bottom of the pile are car salesmen, real estate agents, newspaper journalists and politicians. Nothing new there! 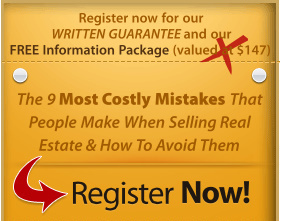 Being a real estate agent, I have often wondered why the general public has such a low opinion of the industry. After all most real estate people I have met over the past 25 years have seemed like fairly decent people, just like you and me. However, I rarely experience a real estate agent from the ‘other side of the fence’, that is, as a consumer. and came across an article by the CEO of one of the nation’s major franchise groups. The article was entitled “Western Australia Embraces Auction”. The article claimed that this particular real estate group had experienced a 50% increase in the number of properties sold by auction over the past year. This doesn’t really tell the whole story. If for example the group sold 10 properties by auction the previous year, then a 50% increase this year would mean 15 properties sold at auction. Hardly anything to get excited about. Simply quoting a percentage figure for auctions means nothing in the context of the total number of property sales in the given period. For example in the week of 21st to 28th August, 2011 there were 25 auctions held in WA of which a mere 4 sold. That is a miserable clearance rate of just 16%. In the same week a total of 900 properties were sold, by private treaty, according to REIWA. Therefore, the claim that Western Australia is embracing auctions is misleading and a deliberate attempt to imply that auctions are the preferred and best method of selling real estate. The general public have rejected auction as a method of selling real estate in WA. The claim by some of the major franchise groups to suggest otherwise is unsubstantiated hype and one of the reasons the real estate industry, as a whole, is not trusted. For a truthful and realistic expose of the auction system please visit the website of consumer advocate Neil Jenman. 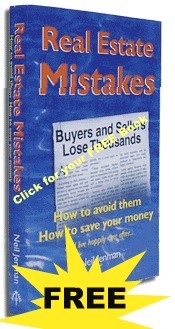 To receive a FREE Copy of Neil’s book ‘Real Estate Mistakes’ complete this request form and we’ll send a copy out to you immediately. To recieve your FREE Book "How To Sell Your Home For More", complete the form below and we will post your book to you immediately.